There’s a storm brewing in the WordPress community — one that encompasses everything from GPL licensing to good old fashioned up-front transparency. It centers around the emergence of WP Avengers: a group of “ace WooCommerce developers” who are supposedly rebelling against what they perceive to be the “broken” WooCommerce ecosystem. 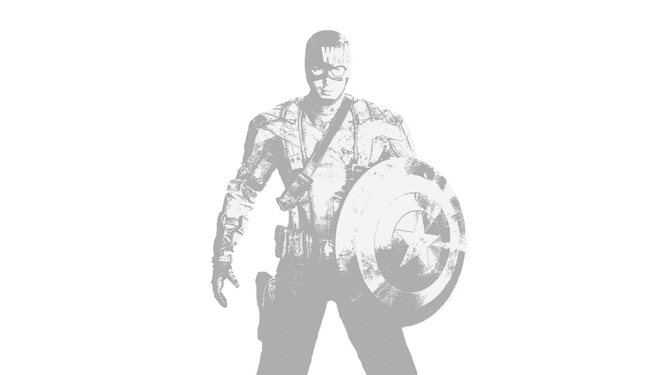 So who are the WP Avengers, what are they doing, and why have their actions (or future potential actions, to be more precise) provoked so much debate? Who is being accused of lying? None other than the darlings of WordPress theme development: WooThemes. They are the creators of Canvas and WooCommerce — arguably two of the most popular freemium/premium products available for WordPress. They’re also the same guys who offer full disclosure on support statistics with their Customer Happiness Reports and generally hold their hands up and say “Our bad” when they screw up. The guys over at WooThemes are not perfect, that’s for sure. But from my experience with WooThemes over the past 2 1/2 years, I have few negative things to say (and lots of positives). So why have the WPAvengers got a bee in their bonnet and why are they kicking up such a fuss? There are a lot of ways to sell products online. WPAvengers have gone the route of publicly accusing their potential future competitors, from behind a veil of anonymity, of lying to and cheating their customers. I don’t know about you but that just rubs me up the wrong way. I’m definitely on board with Brian Krogsgard on that front — if you want to call someone out on something then be a man about it and show yourself. Sure, you’ll probably attract a ton of flack and be called an idiot (like I was in my post arguing against responsive design last year) but as long as you have the conviction to stand by your argument, you’ll have my respect. Here are the facts: WooThemes recently announced a major shift in their pricing plans which has caused quite a stir. I’m not going to argue for or against the actions they have taken as I can see valid points on either side of the debate. This post isn’t about that. It’s about an anonymous “team” spotting a commercial opportunity and seeking to capitalize on it in a deplorable manner, but packaging it up as something else entirely. Let’s cut through the crap: the WPAvengers are guided by little more than a desire to make money. They are not the Robin Hoods of WordPress — taking GPL plugin code from the rich to sell at a much-reduced rate to the poor with nothing but altruistic notions guiding their every move. The fact of the matter is this: it’s a lot easier to sell plugins at a much-reduced price when you didn’t have to pay to develop them. WPAvengers have grabbed a bunch of premium plugins developed by third parties and repackaged them for their own club membership offering. They promise superb support across 36 plugins for a price that seems too good to be true. What you are offering is dollar store prices compared to what it would take in the real world. 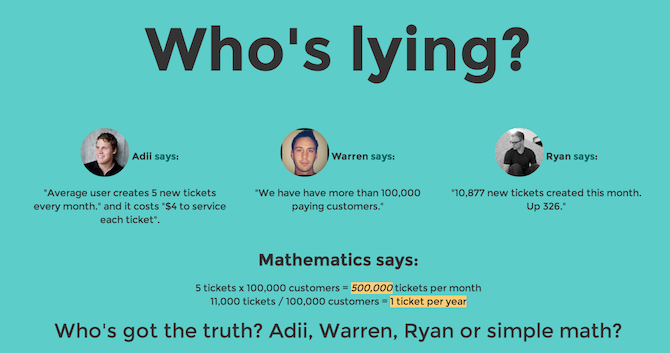 You will be hurting all of your potential customers more than they appear to be hurt by anything Woo is doing with their pricing changes. To the best of my knowledge, WPAvengers are doing nothing illegal. The whole point of GPL-licensed code is that it can be repurposed if properly attributed. But that’s not the point. We’re looking at issues of morality (i.e. are their actions morally agreeable?) and of realism (i.e. can they possibly deliver on what they promise?). Whether they can or not remains to be seen, but one thing is for sure — they’re making big promises, and they’re doing it in a manner that I find extraordinarily distasteful. Imagine if [WPAvengers] were honest with their customers about this and said, “We copied all this code from the original developers and just slapped our name on it so we can sell it to you for cheap and profit from their work! Don’t worry, it’s legal under the GPL so everything is OK!” — do you really think customers want to buy critical software for their website from people like that? That in itself is a fair point. As far as I can see this project has been conceived because of a perceived commercial opportunity. While there is nothing wrong with that in principle — I am a big fan of capitalism — the way that the WPAvengers have chosen to market their service is pretty abhorrent. Furthermore, it seems to me that the chances of them being able to deliver on what they promise are pretty slim. Forgot to add that the WordPress community needs a kick in the pants. Wake up people. Stop drinking the blue-WP-Koolaid while a small handful of WP monopolists get rich! Woothemes has been getting rich ever since Adii spoke at Wordcamp SF. Right after that is when their prices starting going sky high. Guess he decided that he liked flying around the world and wants us to pay for his first-class tickets. The cost of living in Soth Africa is far lower than the US. Those are real numbers. $249 for a booking plugin! GIVE ME A BREAK and I’ll take it from wherever I can get it. BRAVO to WP Avengers! The intersection of GPL and money-making is rarely comfortable. More like a roundabout than an intersection. I don’t admire WPAvengers for their approach, but I can’t see that WooThemes has grounds for surprise or complaint, given their willingness to act in their own commercial self-interest (as distinct from their users’ interests). Seems to me they’ve all entered the roundabout now and don’t know how to get off. Let them chase each other for a while. Maybe they’ll find the right exit, and maybe they won’t. LOL! Awesome comment; what goes around comes around. ROFLOL! Woo whines and baby moans when their own crap ends up in their laps! The heck? How many of us are developing and designing because we are feeling charitable? Most of us do this because we have mouths to feed and bills to pay. I for one am sure in it for the money. There is no shame in that. Granted, I love what I do and I pour my soul into it. This site is almost so ridiculous I worry we are being spoofed. As developers of a highly successful WooCommerce plugin (PayPal Advanced) we see things a bit differently. We also develop quite a few Ecomm sites for clients. People are forgetting that many of the most popular premium themes and plugins have been successfully using the model Woo is moving to. Granted, they initially weren’t going to grandfather in unlimited licenses but they quickly changed their tune. Most of the haters have zero idea what it is like to have to make payroll for a bunch of employees like Woo has. From our insider view we were concerned about the sustainability of the model before all this – if they busted it would jeopardize our efforts. So we are glad to see them fix a broken model. If you are developing an ecomm solution for the bottom tier then you can still use WooCommerce for free and even buy alternative WooCommerce plugins at CodeCanyon or elsewhere. Take a look at the other Open Source Ecomm solutions out there and I think you’ll see Woo isn’t crazy in how they are pricing these. Bottom line, vote with your dollars, if you don’t like it, find another solution or be constructive with solutions. We were bound to get here eventually. Thanks for the post Tom. Gosh, I’m not a huge fan of WooCommerce – I thought I was the only one. Maybe the existence of the WPAvengers will get Woo Themes to make a better product – because they’re not all that motivated now. I don’t even see a deal in signing up with WPAvengers. I disagree with the WPAvengers model.